[post_ads]Many have been walking or hitching rides for weeks and are exhausted by the time they reach the frontier. Another migrant, Regulo Guaita, said: "That was truly a surprise. We found out today. It's very sad because there are many, many Venezuelans leaving and (with this measure) they won't let them leave. I don't know what they'll do now." 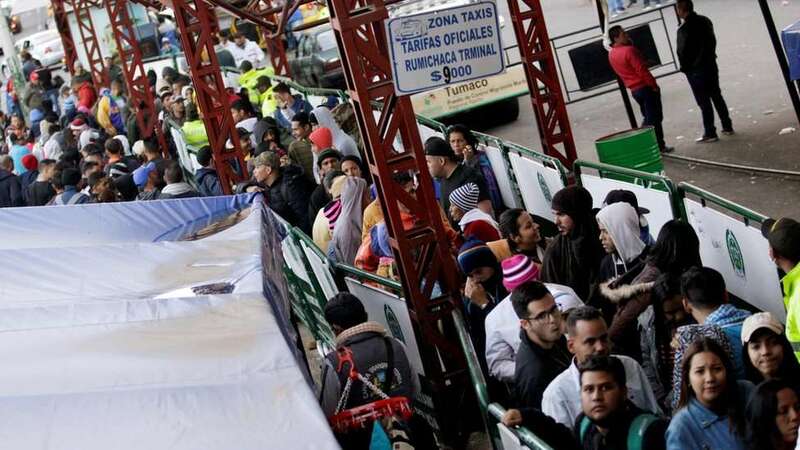 With the flow of Venezuelan migrants causing tensions across the region, Peru's government announced immigration measures similar to Ecuador's on Friday. Passport requirements for Venezuelans will begin on 25 August. Brazil, which neighbours Venezuela, has also expressed concerns and temporarily closed the border earlier this month. Violence has flared in the border state of Roraima where thousands of Venezuelans live in precarious accommodation. According to reports, hundreds of Venezuelans fled back across the border and residents set fire to the belongings they had left behind.